The desert offered up a little winter surprise this morning when I met this Costa’s hummingbird on the hike back, it’s a new species for me. They are one of our smallest birds, weighing about 0.1 ounces. It had already been a lovely morning, this little fellow was the icing on the cake. 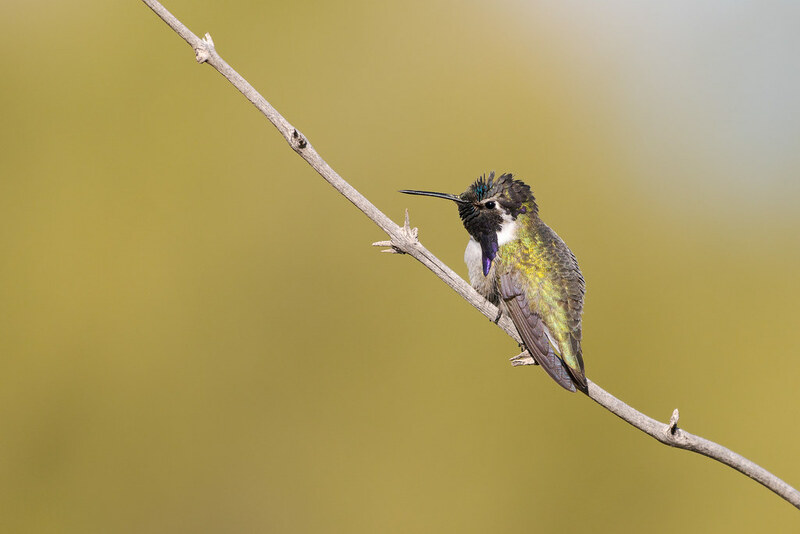 This entry was posted in Birds and tagged Arizona, Costa's hummingbird, desert, Marcus Landslide Trail, McDowell Sonoran Preserve, perching, Scottsdale, Sonoran Desert. Bookmark the permalink.